A major mission of Alborada is to bring the rich diversity of Spanish Dance and music to New Jersey and the surrounding Tri-State area, which is home to the largest Hispanic population in the U.S. Alborada is proud to be the premier dance company in this area presenting the full spectrum of dance forms and music from Spain: Flamenco, regional, classical and 18th century court dances, with special focus on Spain’s influences with other world cultures. Alborada offers several presentations that bring Spanish culture, history and language to life in a visually exciting manner with colorful costumes and props that will take you on a journey to be remembered! 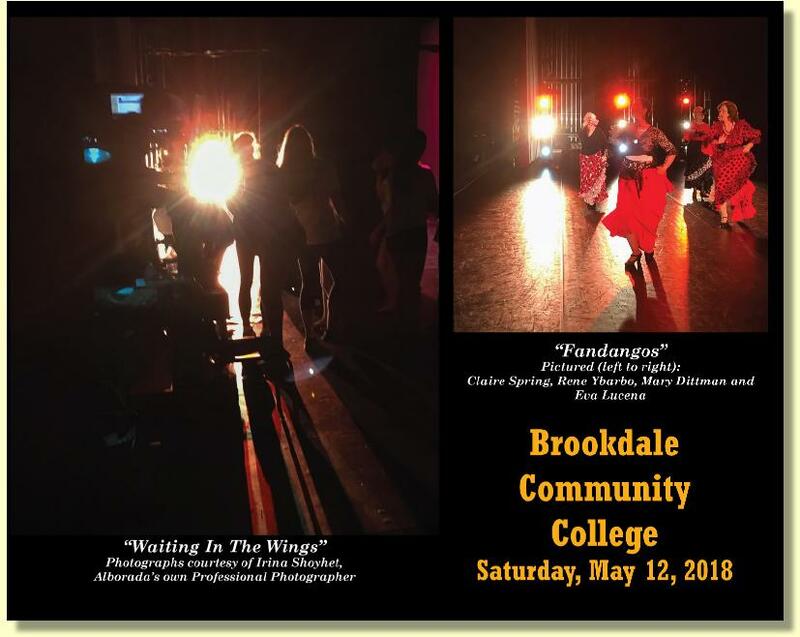 All presentations offer narrative explanations of the cultural traditions behind the dances and music, and can provide interactive participation by the audience to learn elements of Spanish dance – escobilla (footwork), palmas (rhythmic clapping) and more! Charitable Organizations and Community Outreach: As part of our community outreach program, Eva Lucena and/or one of the Alborada principal artists conduct master classes for disadvantaged children and adults. 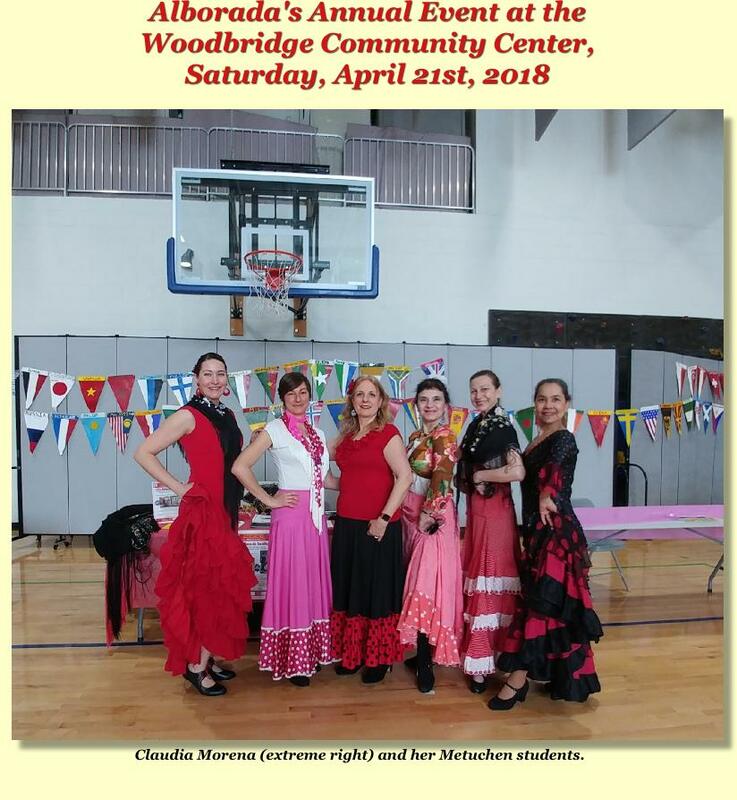 Alborada has also had the pleasure of performing for charitable organizations such as the Morristown’s Neighborhood House, Edison’s NJ Veteran's Home, and assisted living and nursing home residences throughout the state. Alborada is dedicated to giving back to the community and bringing the joy of the arts to those who do not have opportunities to experience it. Alborada also performs at weddings, anniversary and birthday parties and other functions. 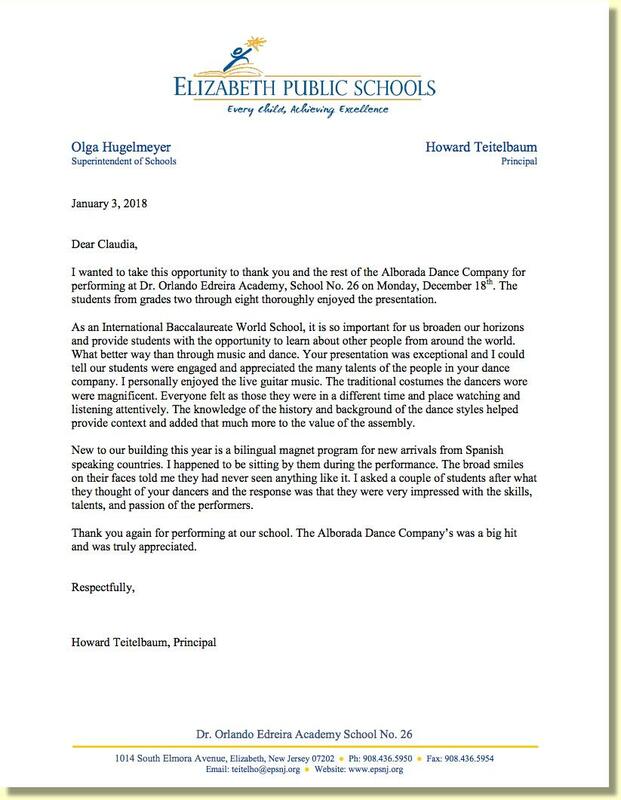 Program prices generally range from $200 to $1500 (except for full-stage 2-hour company performances) depending on the type of presentation and number of dancers and musicians requested. Contact Eva Lucena to arrange a program tailored to your needs and budget. Over the past several years, Alborada has been seen on NJN (New Jersey Public Television) on many occasions. 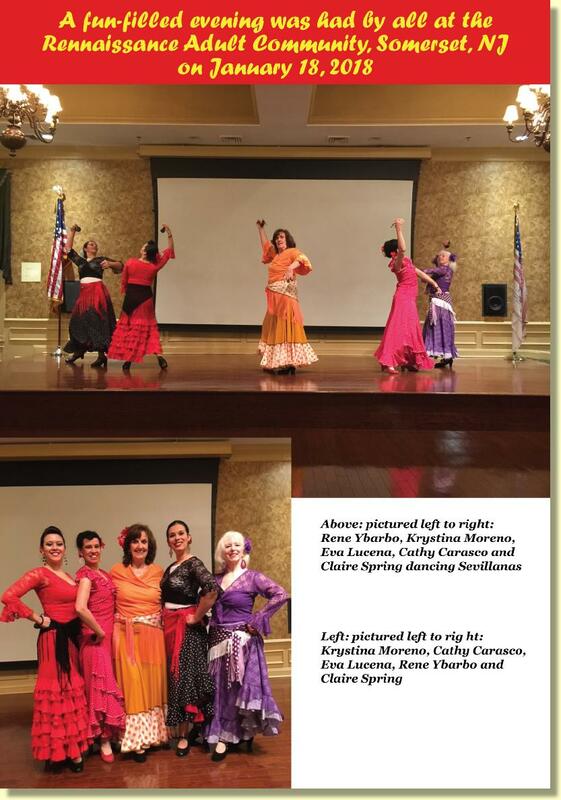 We appeared on NJN in June 2008 on the Images/Imagenes program Flamenco’s Untold Story, featuring excerpts from our Sephardic Connection production and an interview with Eva Lucena. This piece was edited beautifully by NJN from the 2-hour show they filmed at our presentation at George St. Playhouse in 2007. Alborada dancers have also appeared on NJN as part of the station’s fundraisers. 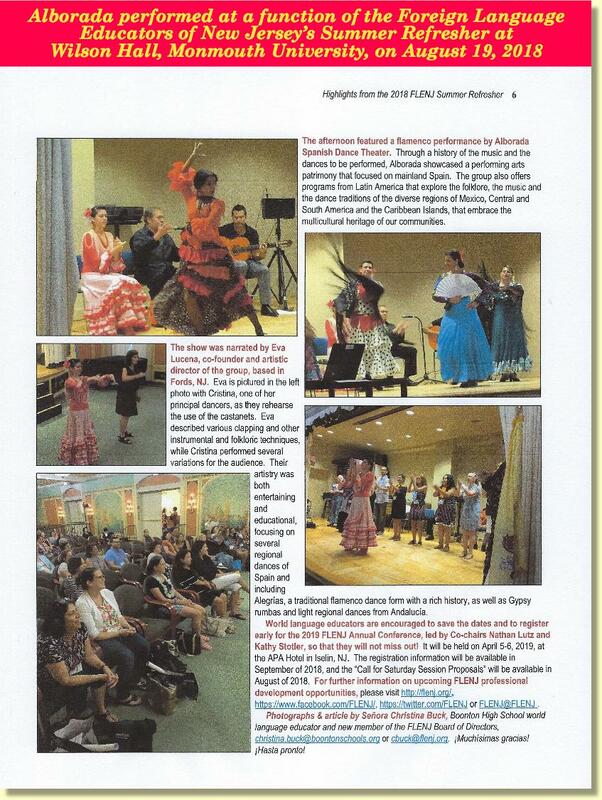 In 2004, Alborada was featured on Images/Imagenes program Flamenco: the Essence of Dance and Drama, featuring our performance at Kean University in May 2004. Because of the audience response, this program has been shown many more times since its original airing. Eva Lucena was a guest speaker on a show in 2002 entitled Latino Fashions: The Influences of Spanish Dress throughout the Latino World and the USA. Three dancers from the Company modeled various costumes: a classical costume from the times of Goya, a traditional Flamenco dress with a bata de cola (train) from 100 years ago, and a polka-dot dress depicting the original Gypsy costumes deriving from India 1000 years ago, where the Gypsies sewed small round mirrors (lunares) into their dresses to ward off the evil eye. Eva Lucena spoke about the history of these lunares (meaning small moons, which later became polka dots) and about the other clothes that have influenced the world-at-large. In 2000, NJN presented the Company in a Showcase concert entitled The History of Spanish Dance. For three years consecutively, several of our principal dancers were the guest artists at NJPAC for the Hispanic Youth Showcase, where Eva Lucena has been a judge for the past several years. Alborada was instrumental in helping NJN's Images/Imagenes win their 2001 Emmy award. A Taste of Spain - A Journey through Spain with Dance, Music and Song: Take a trip through the beautiful diversity and history of Spain’s cultural traditions - from the Jotas of the north – the Celtic-influenced regional dances from Asturias and Galicia, Zarzuela songs and dances, Spain’s colorful regional dances such as Fandangos, Sevillanas and Verdiales, to Classical dances, and exciting Flamenco dances and songs. Hispanic Tapas: In addition to the dances from Spain, we add Mexican dances such as the polkas from the north and the exhilarating dances from Jalisco with mariachi music. Folkloric dances from South America can be added as well to demonstrate a broader Hispanic cultural experience such as the Merengue from the Dominican Republic. Perfect for Cinco de Mayo (May 5th), Hispanic Heritage Month or any time of year! Sephardic Story: Offering elements of our Sephardic Connection full-stage production, this program brings to life the cultural traditions of the Spanish Jews, with Flamenco dances having Sephardic Jewish influences, and Ladino and Hebrew songs performed by a cantorial singer. Highlight is a fusion of Spanish and Sephardic Jewish dance traditions performed in traditional costumes to the Jewish and Greek folk song Mizerlou. A Hispanic Holiday Celebration! Add a distinctive Hispanic flavor to the holidays with this program, which offers elements of our Sueño de Una Niña full-stage production such as a Rumba danced to a traditional Spanish Christmas Villancico song. 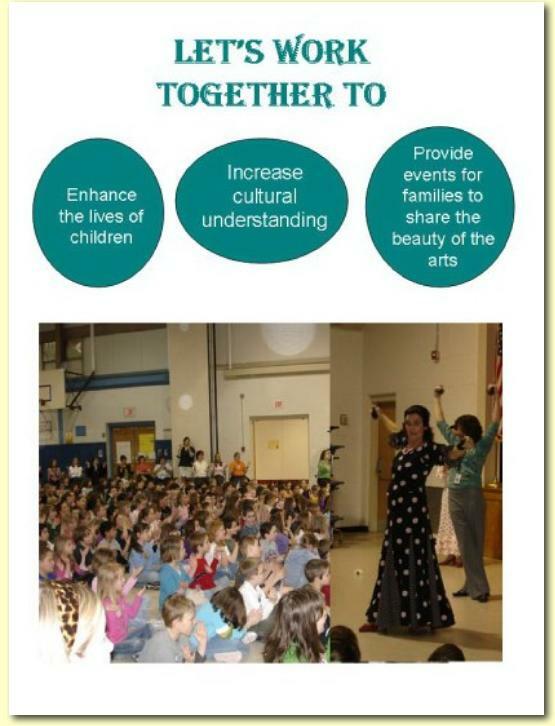 Elementary and High Schools: Alborada can help your school meet the New Jersey Core Curriculum Content Standards by providing an arts-in-education assembly tailored to your needs and budget. Applicable Standards include Visual and Performing Arts Standard 1.1 for Aesthetics and 1.5 for World Cultures, History and Society; Language Arts Literacy Standard 3.4 for Active Listening; Social Studies Standard 6.3 for World History; and World Languages Standard 7.2 for Culture. 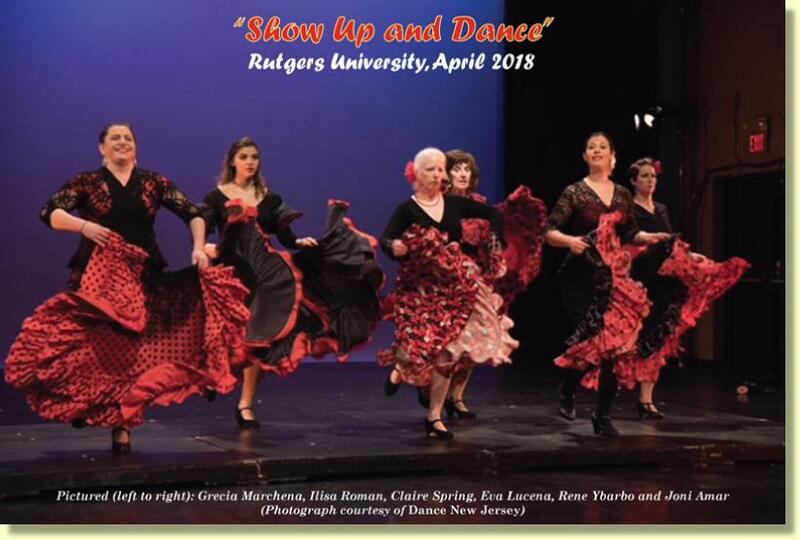 Throughout the presentation, the origins of Spanish dance and music traditions will be explained and demonstrated by 4 to 6 dancers accompanied by recorded music and/or a musician and singer. Interactive participation by the students will be provided, as they learn the basics of palmas (rhythmic clapping), escobilla (footwork) and braceo (arm movements), which can be useful in meeting Standard 1.3 for Elements and Principles of the Arts. With this presentation, students of all ages and ethnic backgrounds will gain an understanding of Spanish cultural traditions. 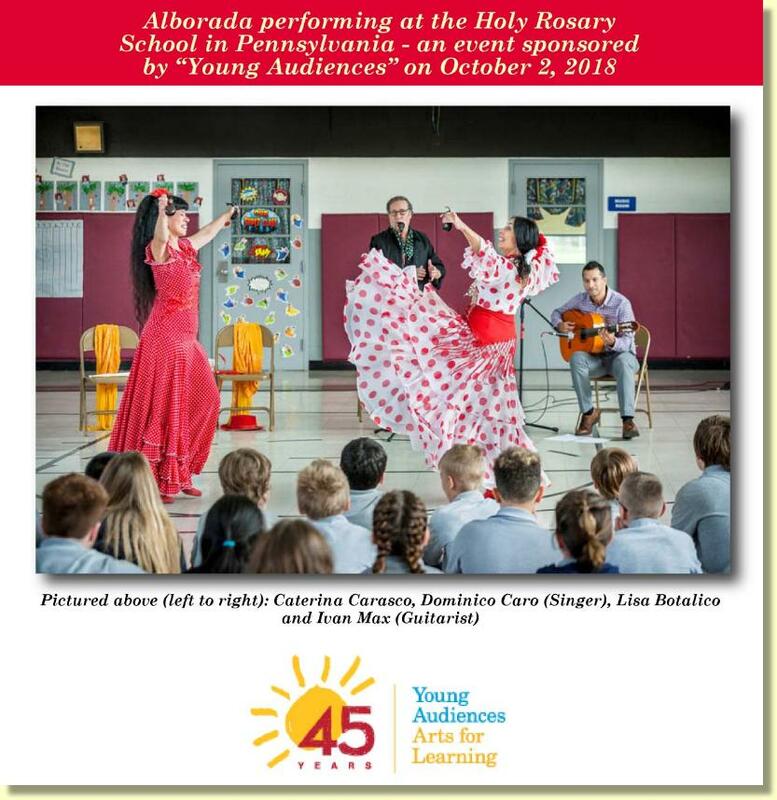 Alborada is proud to be a member of Young Audiences-NJ (www.yanj.org) and Morris Arts Council (www.morrisarts,org) rosters of artist organizations. 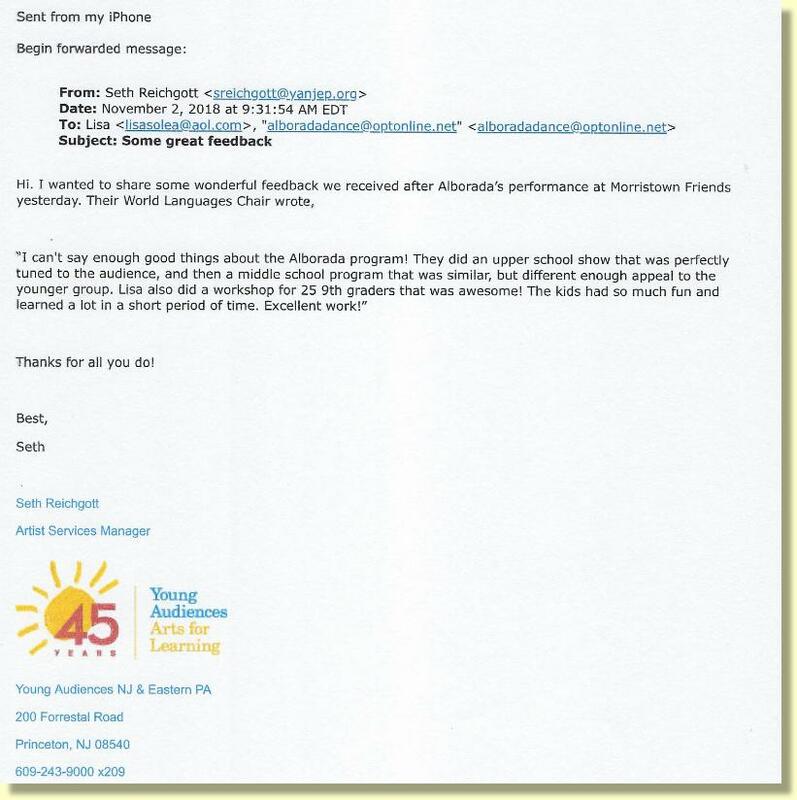 We are also thrilled for our first ever grant awarded by Target (www.target.com) in 2008 in support of arts-in-education assemblies in financially underserved school districts in NJ. Programs can be developed for an Alborada artist to visit your school for a residency or master classes.